SEMA Hall of Fame - Lou Baney, 1992, SEMA. A hot-rodding pioneer, his dedication to industry causes and many years of service on the SEMA staff earned Lou recognition in the industry Hall of Fame. He sponsored race cars, encouraged safety specs in all forms of racing, and was a reliable friend to everyone who knew him. He raced Southern California dry lakes before shifting to organized drag racing—at its start. 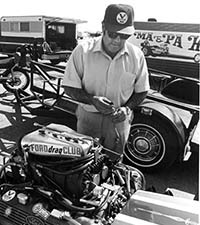 Lou also ran one of the first dragstrips California. Eventually he built and owned several Top Fuel dragsters. 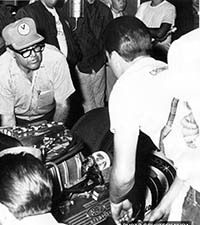 Additionally, he served as SEMA’s Executive Director.